June 16th Day 2. 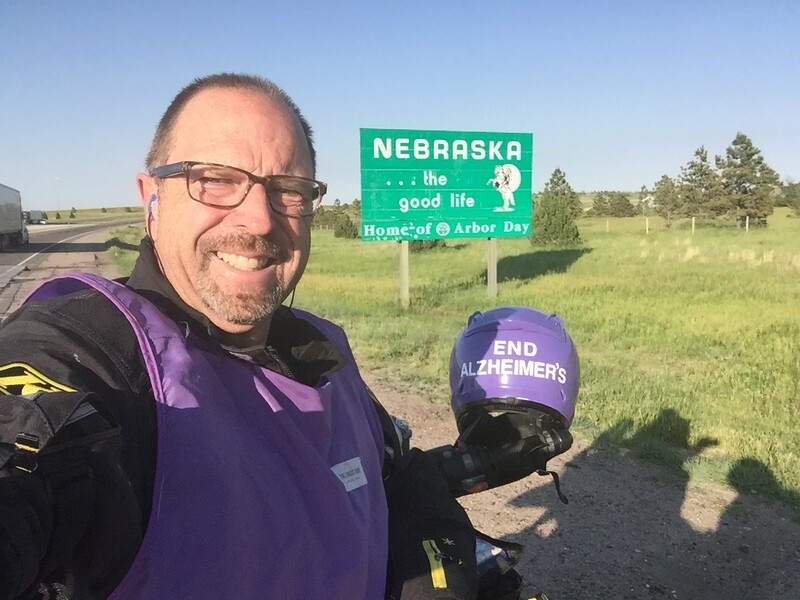 I do this ride in honor of my wife Chris and for the 5.2 million Suffers of Alzheimer’s in the US (35 Million Worldwide) and the caregivers who daily live The Longest day”. Hear is a photo I took today. When I was considering this event and how to do it, Chris was formats in my mind. She passed away at the age of 54 from early onset alzheimer’s disease. I cared for her for many years. It was heart wrenching and devastating, yet I can only say that I am grateful. I had a wonderful life with the woman I loved dearly, and she me. We faced this disease together, with Faith, Hope and Courage and made the most of the moments we had together! 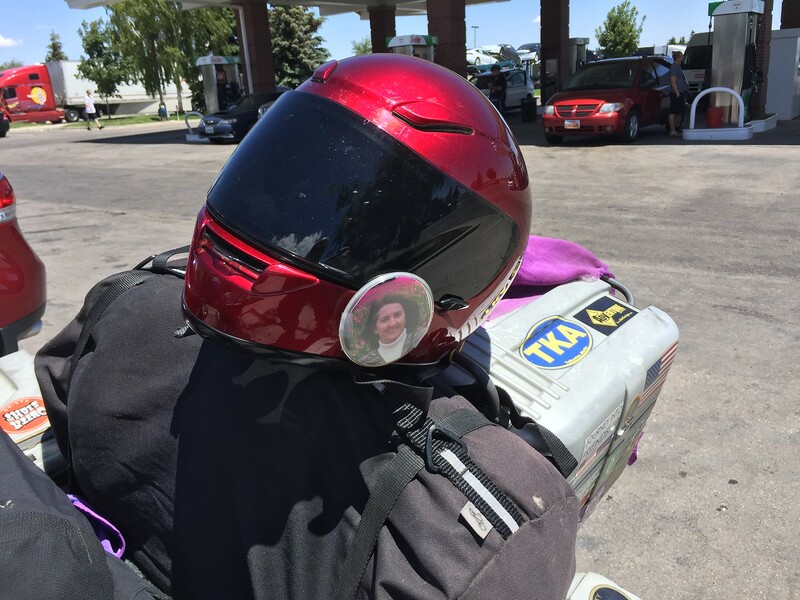 !As I packed my bike, I decided to carry her Helmet and photo. She is my ghost rider, and I can feel her against my back as I ride this ride! Some moments I smile, some I tear up. all part of the journey. I rolled out of my hotel around 7:30 as I was posting up my RR and links. 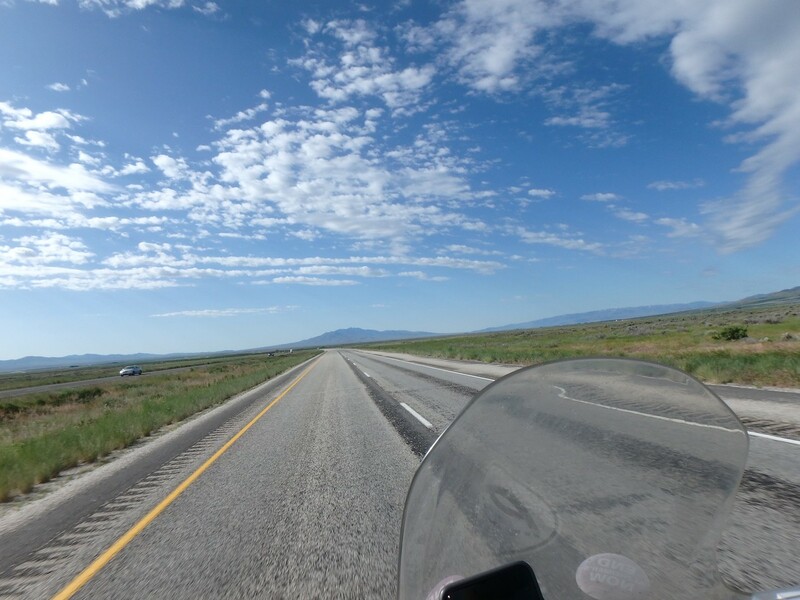 Beautiful sunny day as I rode east and then slightly south through Idaho. 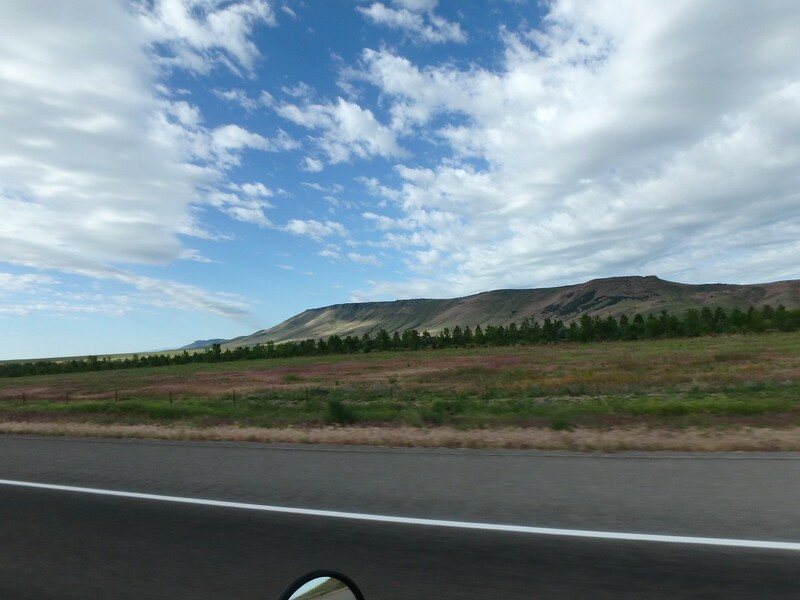 Beautiful farm land and buttes. 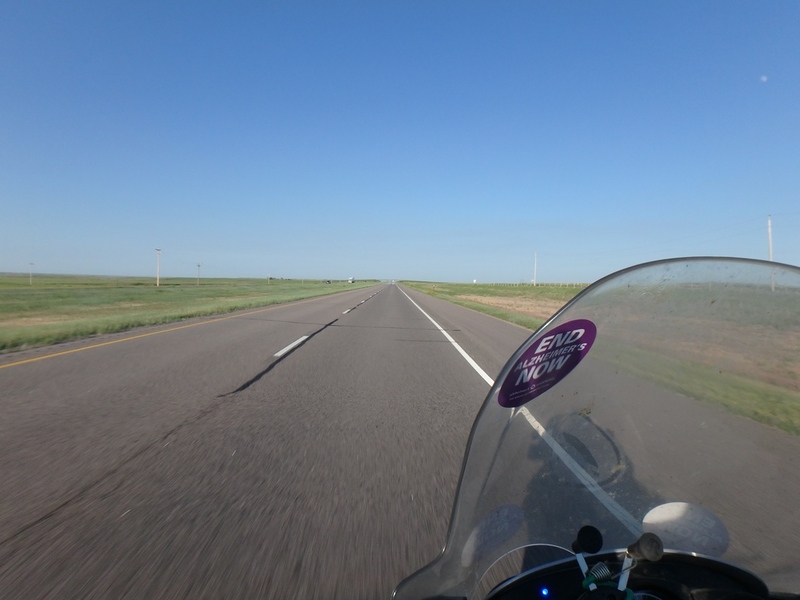 Riding briskly and enjoying the fresh air and open roads. 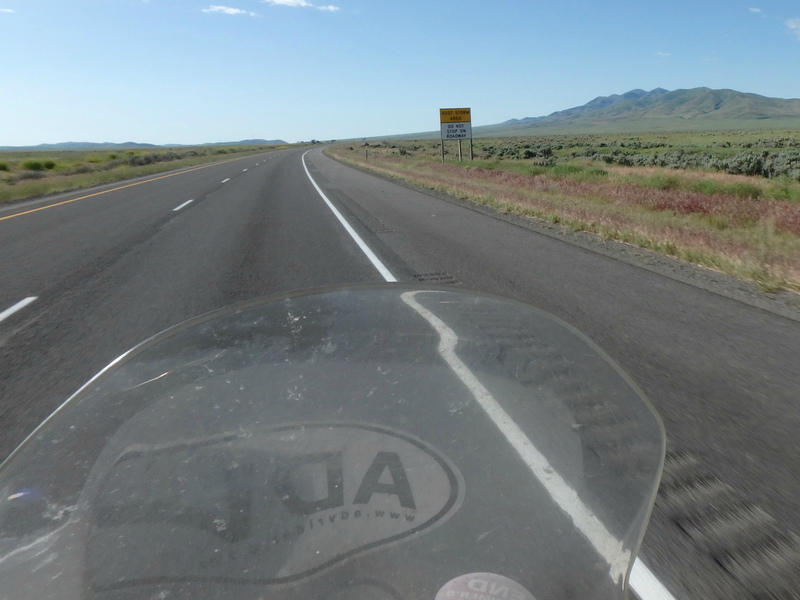 Some areas of Blowing dust and wind …says the sign. He tells me I was speeding. I am smiling and tell him I am enjoying Idaho! 🙂 That I was passing the truck to get out of the way…. 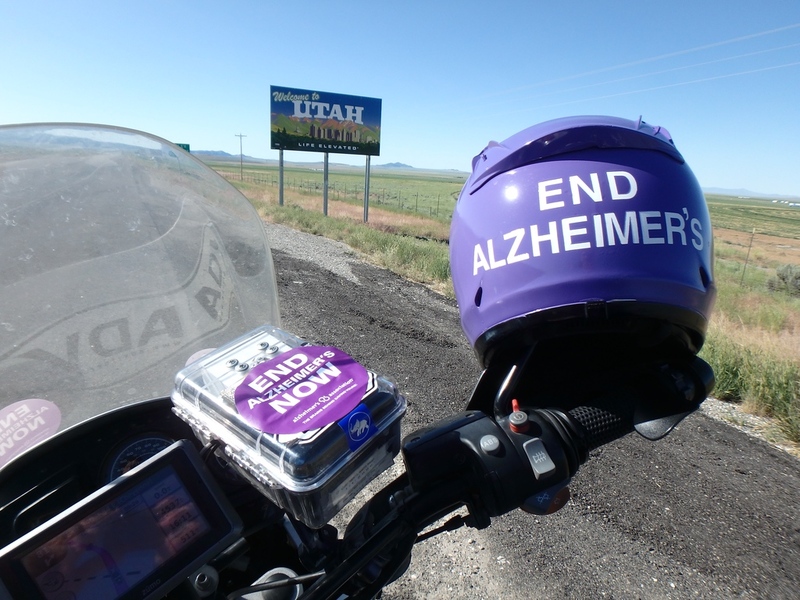 And I am on my way to Washington DC for Alzheimer’s. Hand him my drivers license. He knows my registration is buried under my gear. 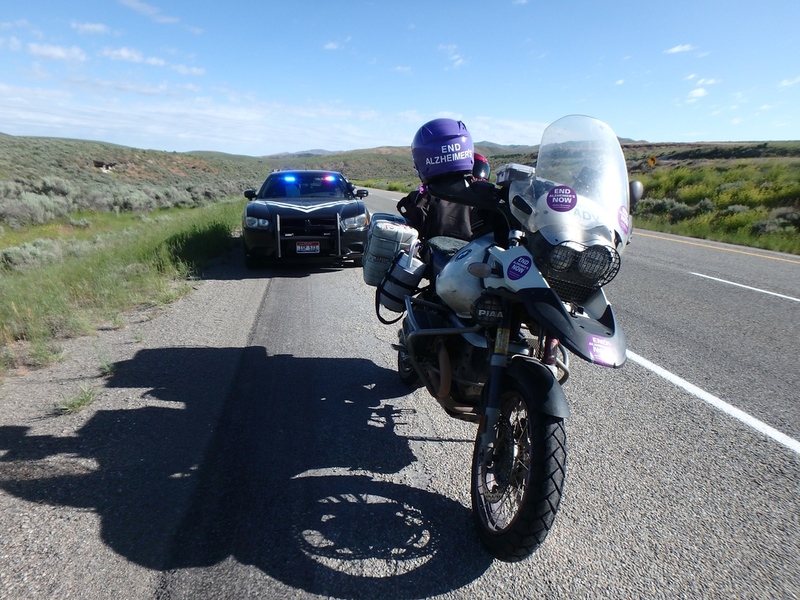 Says it’s ok, he will just check my license. and that he is NOT giving me a ticket! Yeah Radioman !! Another good day!! 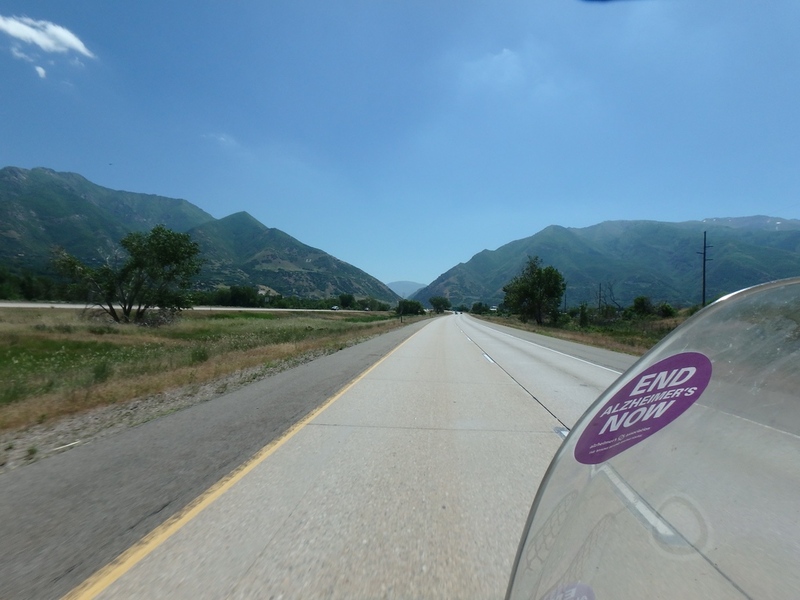 Past Ogden and then head east toward the mountains. Love this! 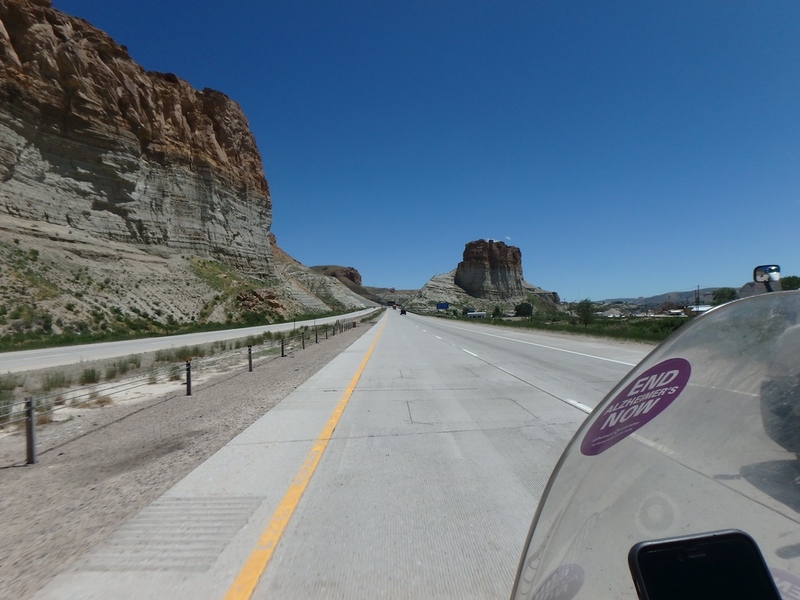 Hello Wyoming. State number 4 including oregon. 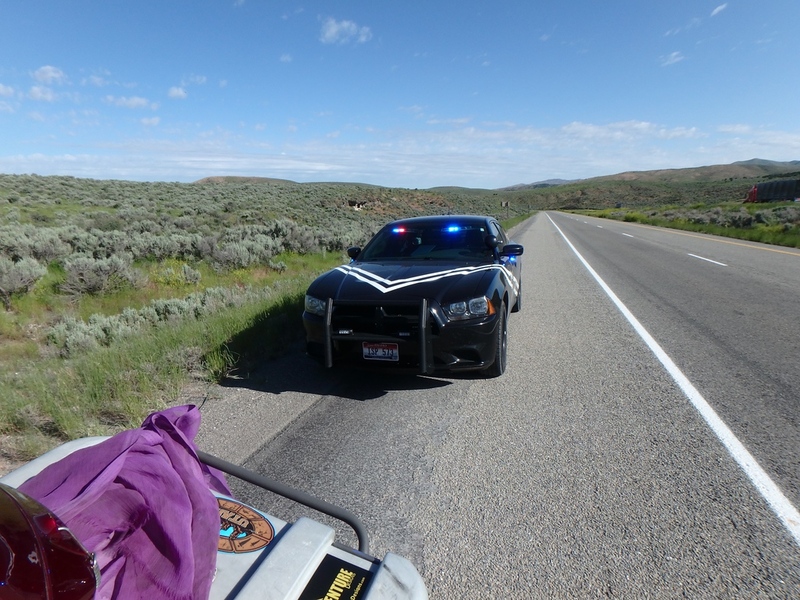 Wyoming on Hwy 80 is high plains and some mountains. Mostly at 6,000-8,000 feet , but sun is out and it feels great! 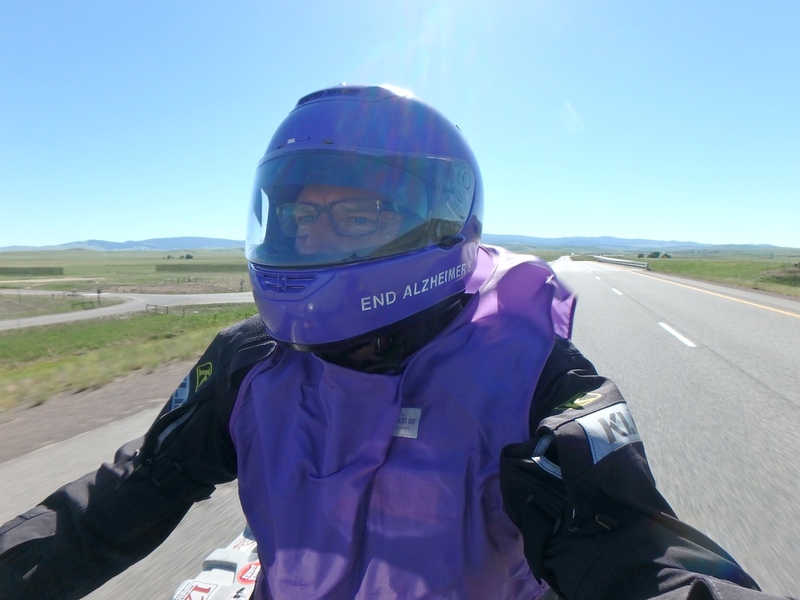 Riding to create awareness… Purple is the Alzheimer’s color, so my helmet is painted, I am wearing a vest…. And end my day in Nebraska!! 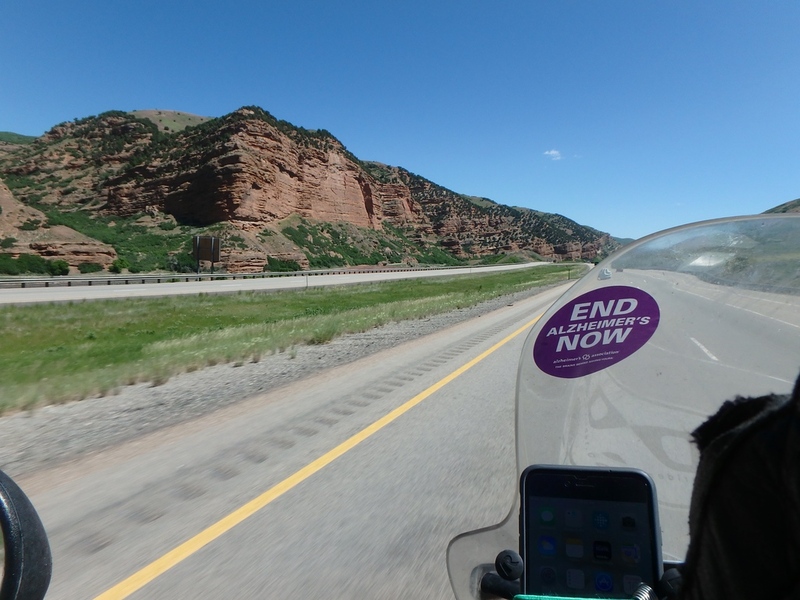 700+ miles today! Moving toward DC! 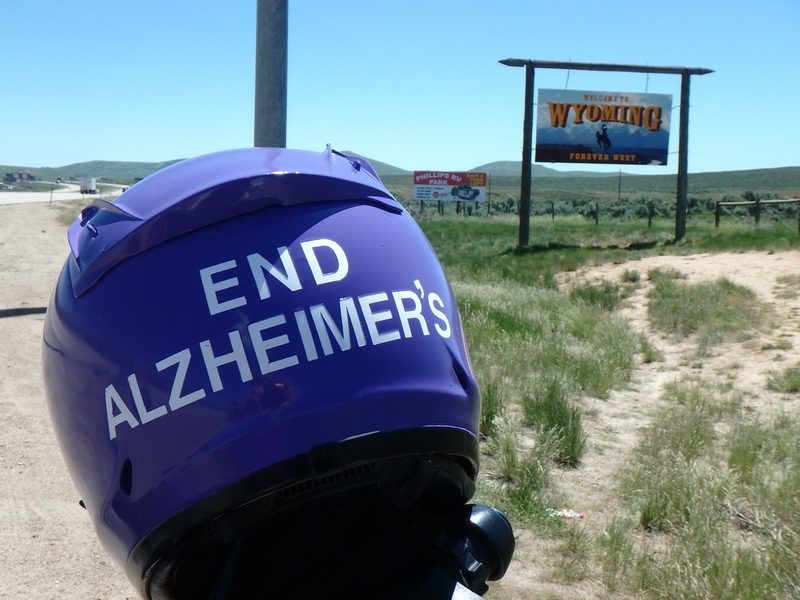 If you want to support the Alzheimer’s Effort… Any amount helps. I am getting closer to my goal! !